Dallas Cowboys are Eliminated from Playoff Contention. CRY BABY CRY! SO YOUR COWBOYS ARE NOT IN THE PLAYOFFS? YOU GONNA CRY? GO ON BABY! 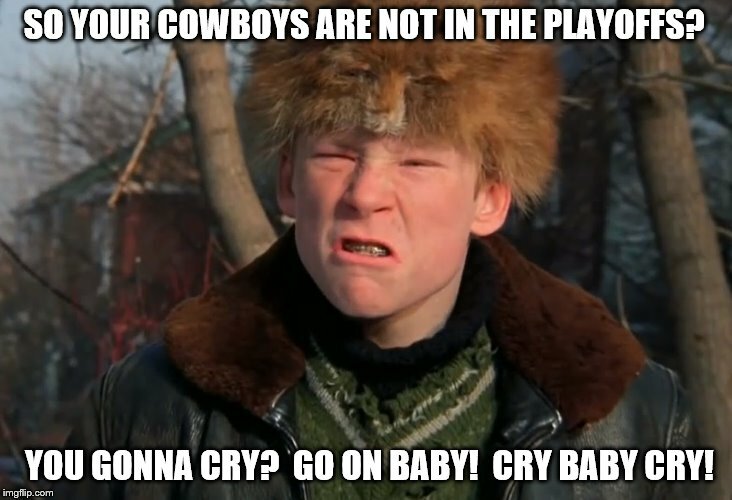 CRY BABY CRY!